Amgen announced plans to build a next-generation biomanufacturing plant at its campus in West Greenwich, R.I. The plant, the first of its kind in the United States, will employ Amgen's next-generation biomanufacturing capabilities for the U.S. and global markets. A next-generation biomanufacturing plant incorporates multiple innovative technologies into a single facility, and therefore is built in half the construction time with approximately one half of the operating cost of a traditional plant. Next-generation biomanufacturing plants require a smaller manufacturing footprint and offer greater environmental benefits, including reduced consumption of water and energy and lower levels of carbon emissions, according to the company. A comprehensive evaluation of global locations was conducted to select the location. Following recent U.S. federal tax reform, which provides company incentives to invest in innovation and advanced technologies, Amgen made the decision to locate the new plant in the United States. Rhode Island was selected based on the historical success of the Amgen West Greenwich manufacturing facility, its capabilities and talented workforce, and quality of living for staff and potential to grow. The biomanufacturing plant will be built on the current Amgen Rhode Island 75-acre campus and is expected to create approximately 150 additional highly-skilled manufacturing positions and approximately 200 construction and validation jobs. Amgen opened its first next-generation biomanufacturing plant in Singapore in 2014. This type of plant offers a highly flexible, modular design which can be replicated in future facilities, which enables Amgen to increase production capabilities reliably with greater speed, productivity and flexibility. Within the plant, the equipment is portable, smaller and disposable, which provides greater flexibility and speed when manufacturing different medicines simultaneously. 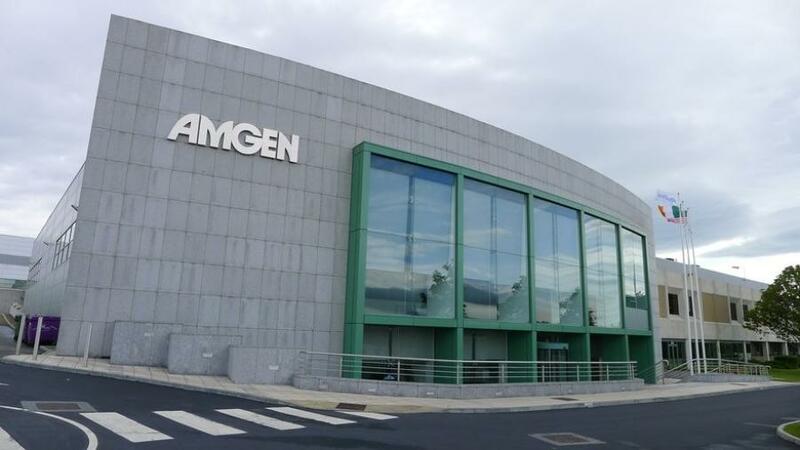 This eliminates costly and complex retrofitting inherent in standard facilities and allows Amgen to respond to changing demands with increased agility, ultimately impacting the speed at which a medicine is available for patients. The existing Amgen Rhode Island plant was licensed by the U.S. Food and Drug Administration in September 2005 and houses one of the world's largest mammalian protein manufacturing facilities. The facility manufactures commercial and clinical bulk drug substance. Amgen has invested more than $1.5 billion in its Rhode Island site, adding more than 500,000 sq. ft. of manufacturing, utility, administrative and laboratory space to the campus.